The Green Bay Packers head back home to Lambeau Field this Sunday looking to continue the momentum from their hard-fought 23-16 win on Sunday against in Chicago against the Bears. The next opponent on the Packers schedule is the up and down Baltimore Ravens. The Ravens offense has struggled this season ranking near the bottom of the league in passing yards which has caused them to look downright awful at times. They even managed to lose at home against these same, lowly Chicago Bears. (Yes, I take shots at the Bears whenever I get the chance). For the Packers, the challenge against the Ravens will be to contain their pass rush, stop their run game, and intercept, or defense their deep shots down the field. The Ravens offense has been a feast or famine unit at times this season and it is important to keep them from developing confidence and a rhythm throughout the game. It is important for the Packers front seven to continue to be able to get a consistent pass rush against Joe Flacco, complete sacks, and force him to rush his throws and make quick decisions, putting the ball up for grabs. On offense, the Packers must continue to give Brett Hundley the best chance to succeed by running high percentage pass plays and have him get rid of the ball quickly. McCarthy must do a better job of protecting Brett Hundley; empty sets in the shotgun on third and less than five is simply not giving your back up quarterback the best chance at having a successful start and winning the football game. I disagree with the thought that McCarthy should call plays just like he would for Aaron Rodgers. Instead, he should stick to the more scripted format of his early play calling with quick passes, read options, single back running plays and some wildcat options. Jamaal Williams is going to have to prove that last weeks performance was not a fluke. Williams must continue to gain tough yards and provide solid pass protection in the backfield to allow Hundley valuable time to let his progressions develop. I see this weeks game playing out very similarly to last weeks game in Chicago. I see both offenses struggling and looking out of sync at times, setting up for a back and forth game. I believe that this game will come down to one or two plays in the fourth quarter. I see Brett Hundley having his first Lambeau Field signature moment, throwing a late fourth-quarter touchdown to DaVante Adams, sealing a hard-fought 21-17 victory for the Green and Gold. 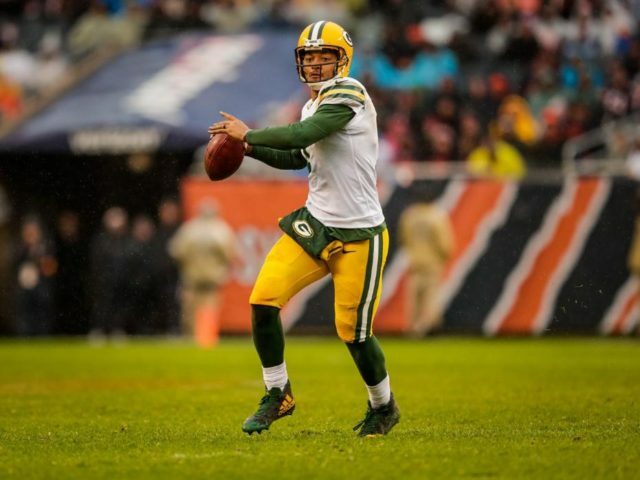 This entry was posted in David Michalski and tagged 2017-2018 Green Bay Packers, Brett Hundley touchdown to davante adams, Dave’s two minute Pregame Primer, Nick Perry, Packers vs Ravens. Bookmark the permalink.